No summer would be complete without homemade ice cream. Whether it’s your favorite local ice cream shop, that special place you visit at the beach each year, or from your own kitchen, having a scoop – or two – of homemade ice cream just makes a hot summer day. While we enjoy letting the kids splurge now and then at a local ice cream shop (after all part of the fun is looking through the glass window at all of the colorful flavors! ), we usually choose to make ours at home. 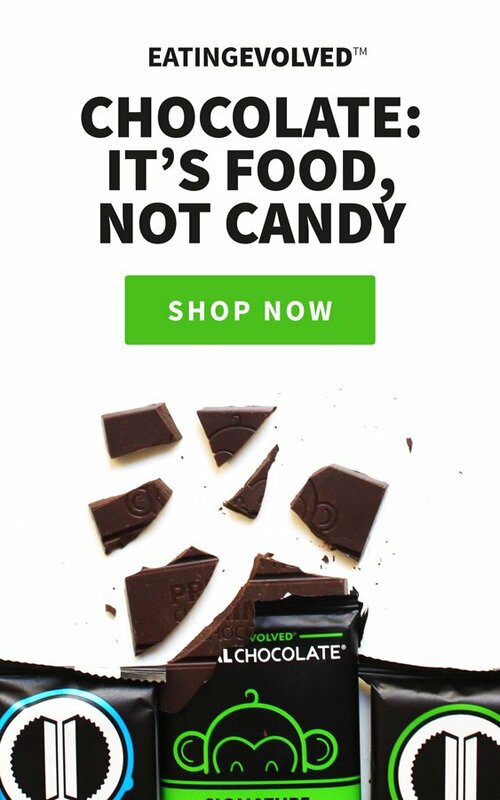 Not only because we can control the ingredients and avoid refined sugar, gluten, dairy, and other chemicals and additives (no mint-chocolate chip is not naturally bright green! ), but also because it’s fun. Mixing the ingredients, pouring them into the ice cream machine, watching it churn, waiting in anticipation…those are the things I remember as a child, and I hope my children will have those memories too! Mint Chocolate-chip has always been a favorite of mine. The sweetness of that cool mint flavor combined with the bitter, crunchy chocolate chips has always been hard for me to resist! So when I started making my own paleo-friendly versions, of course this one was at the top of the list. For this version, I’ve made it even more yummy by adding a little cacao. It works just as well without it, so if you’re concerned about having the caffeine of the cacao in addition to the dark chocolate, feel free to omit it. 3/4 2.5oz Eating Evolved chocolate bar (we use 85% )*, chopped into chips (eat the other 1/4 bar – duh). Combine first four ingredients in a saucepan and warm over medium-low heat, stirring frequently, for three to five minutes. Add peppermint extract and stir to combine. Allow the liquid to cool down completely. You can speed up the process by refrigerating. Add chocolate chips to ice cream during last 5 minutes. Enjoy immediately as a soft serve, or freeze for a couple of hours before serving. 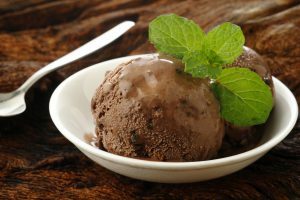 When frozen solid, allow the ice cream to thaw at room temperature for about 20 minutes before serving!